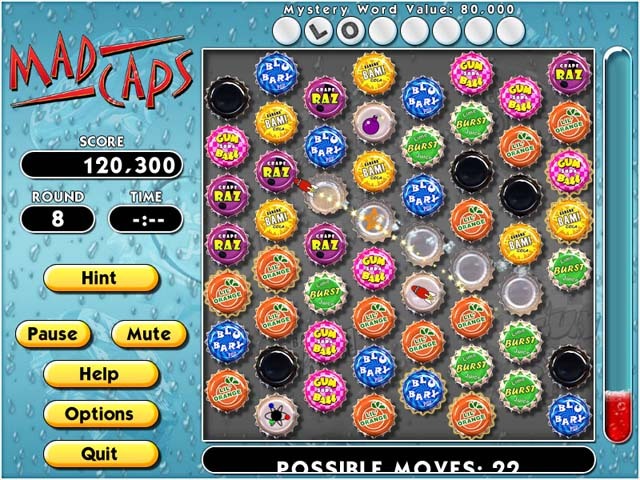 Download Mac Mad Caps Game Windows 7 Games! The same crazy geniuses who brought you Chainz offer you the latest in maddeningly addictive entertainment. 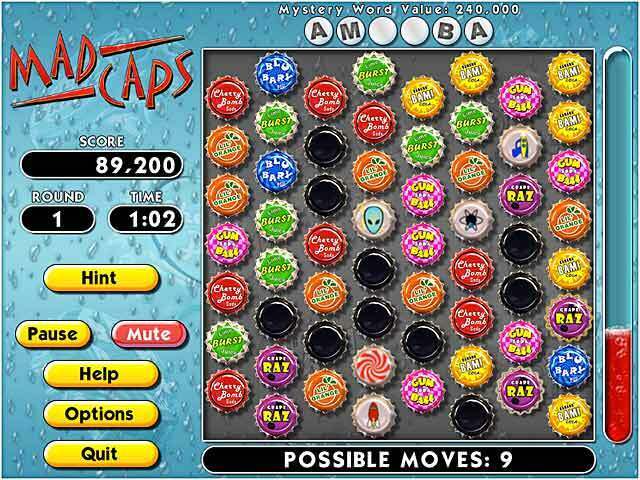 Mad Caps is a thrilling puzzle game gone completely MAD! Zap the bottle caps with ray guns, target them with rockets, or let aliens transform them. 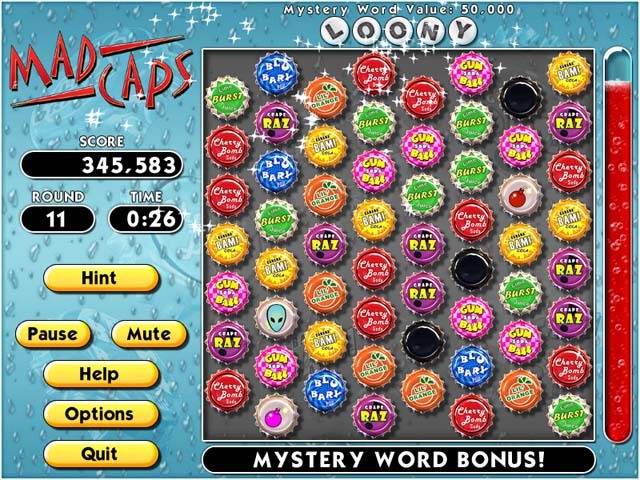 Send them flying as you guzzle soda, collect letters to spell mystery words and watch out for "under-the-cap" bonuses. 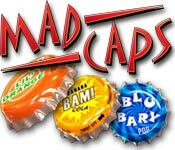 Let Mad Caps quench your thirst for fun. Download today! Zap caps with ray guns.